When it comes to helping to land and expand these major deals, today’s marketing teams are seriously handicapped. 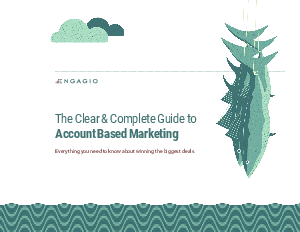 The Clear & Complete Guide to Account Based Marketing (ABM) is your guide to solving this problem. It will take you, step-by-step, through this fast-emerging discipline, showing you how to align your sales and marketing team around a strategy that’s optimized for the biggest, most important deals.